Recently I received a Blogger Recognition Award from Elizabeth who writes about her adventurous farm life at http://dandelionsacre.com. I am honored that my writing is deemed worthy to be nominated for any award, and sincerely want to thank Elizabeth for taking the time to read my posts and for her nomination. When you have a few moments, take some time to visit her blog where you will find words of wisdom and encouragement. Writing is a part of who I am, and I attribute some of my writing passion to one of my grandmothers. My paternal grandmother was an avid storyteller. Her method of delivery was of the verbal kind, and everyone within hearing distance became her audience. Even if you didn’t know my grandmother you still were a prime audience candidate. Needless to say, I heard many a tale during her lifetime. Listening to her stories impacted me significantly, but it took years for me to realize that I also enjoyed sharing stories with others. While her influence is part of the reason I write, my formal writing journey didn’t actually begin until 2009. For months I felt the urge to write, but honestly, I didn’t know where to start. Discovering a local writers group that met one Saturday morning a month was like discovering a gold mine in my backyard. The group members willingly shared their writing knowledge, and the special speakers discussed various writing topics. Both components of the group introduced me to new aspects of the writing craft. Plus, at the end of the meetings members held critique sessions. Through those meetings and critique sessions I found the courage to stretch my writing wings. The idea of blogging sparked my interest in 2012, but because I still felt like I was a rookie writer, I pushed the idea from my mind for 18 months. In the spring of 2014 one of the speakers for our writers group held a seminar on blogging. A few months after that seminar I created my blog site – Anecdotes from Along Life’s Road – and published my first post titled I’m Jumping In. 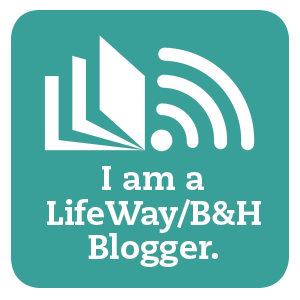 The name of my blog seemed a natural title since my goal is to share stories about life through an encouraging, inspirational and sometimes humorous format. My biggest piece of advice to new bloggers is to recognize that every blogger’s journey is a little different, so please refrain from comparing yourself to others. While every blogger wants their words to reach as many people as possible, getting hung up on the numbers of likes and comments you receive or the number of subscribers to your blog can become a stumbling block. Also, set reasonable posting goals that work for you based on the time you have available. While I know bloggers who post sporadically, I also know bloggers who post 3 times a week, some who post 5 times a week, and others who post daily. For me, I’ve set a goal to post 2 to 3 times a month. There are many great bloggers in the world, but it’s impossible to keep up with every writer. As such, I’ve had to limit the number of blogs I actually read to those listed on the sidebar of my website, plus a couple of blogs that are not WordPress formatted which only appear in my email. (If I could figure out how to link them to my site, I would.) With that being said, some of the ones listed on my site have recently been nominated for blogger awards including: Dandilionsacre.com, Write Lite, and Wrestling with Faith – Dancing with Jesus. While I will refrain from nominating them again, if you have a moment, please check out their posts. Give pieces of advice to new bloggers. Select 5 to 15 other bloggers you want to give this award to. Comment on each blog and let them know you have nominated and provide the link to the post you created.